The ISS may finally get its space veggie garden yet! The ISS may finally get its space veggie garden yet! This is actually the second attempt at getting lettuce seeds to sprout in the growing chamber, after the first one ended with some frantic overwatering to perk the dehydrated plants back up. Astronauts! They’re just like us. 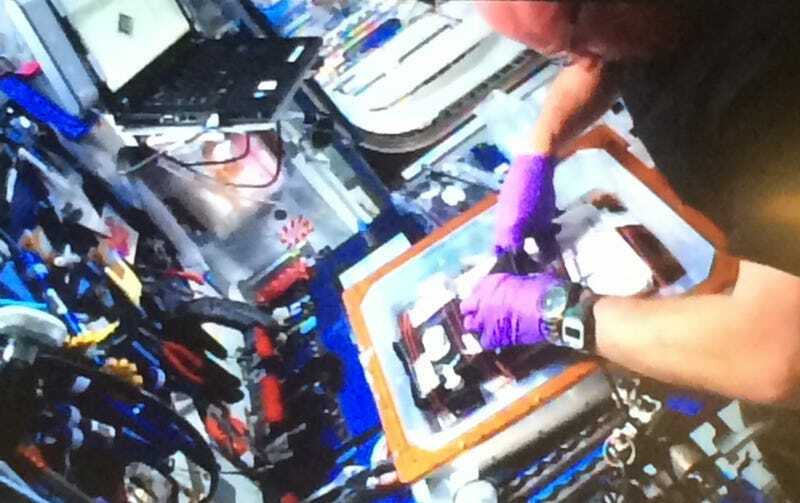 Image: Scott Kelly setting up the Veggie experiment on the ISS/ NASA Kennedy.